A while back, on a whim I did a little research on what google says it takes to be a man. Most of the websites I came across seemed to fall into two different categories. The first category I will call the B’s: beer, babes, burps, bombs, and buds. Most of what we call the “man rules” tend to fall into this category. Some so called rules are true: “No razor is ever to be used below the neckline.” Others are obvious: “Under no circumstances shall two men ever share an umbrella.” There are other so called man rules that are just downright stupid: “On a road trip, the strongest bladder determines the pit stops.” That road trip is gonna smell real bad, real quick. The other category of websites I kept running across I’ll call the C’s: couch side counseling. It was the type of useless advice people waste way too much money at their local quack therapist to get. These websites say things like “it is always OK to explore and express your sensitive side.” A word on that. If you are crying because somebody close died, that is OK. If you are crying because Masahiro Tanaka is going to pitch seven glorious shutout innings against your beloved Red Sox… again, too bad. Man up. It is only going to get worse as we get closer to the postseason and it becomes painfully obvious that you cannot compete with this new generation of Yankees. Also in today’s reading, Peter and his crew were just hauled into court. Once there they were given two options: stop preaching or die. Their answer was that it was far more important to obey God. They chose door #2. None of them ended up walking through that door right away, but ultimately every last one of them did. They chose to obey God right to death even as death by obedience was claiming the lives of fellow Christ followers all around them. I pray that You would raise up men who would rise up. I pray that we would man up and obey You. I pray that we would step out and follow. I pray You would give us the courage and the strength and the fortitude and the perseverance to walk faith faithfully in the glory of what You have called us to do from now until the moment we enter the glory of heaven. With Your strength, make us equal to any task, standing against any threat, working and walking with You no matter what may come. I am reminded of personal and profeesional mistakes. 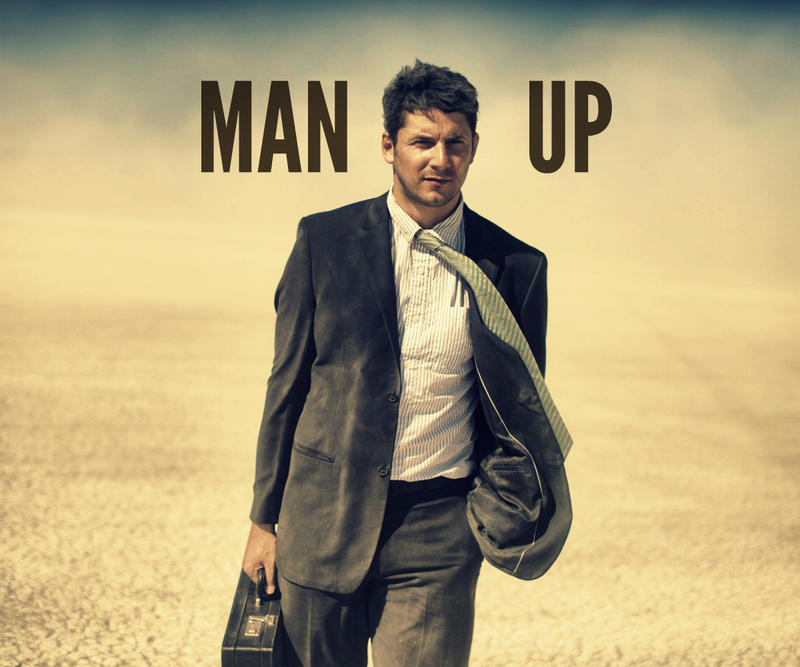 “Man up” a term defined me as a grown person. When my lil and only daughter do grow up, my mantra for her is, yes. we take what S… we do clean up and have integrity along the way, Man up to the plate and go flow in life. Follow Him and learn of His ways.